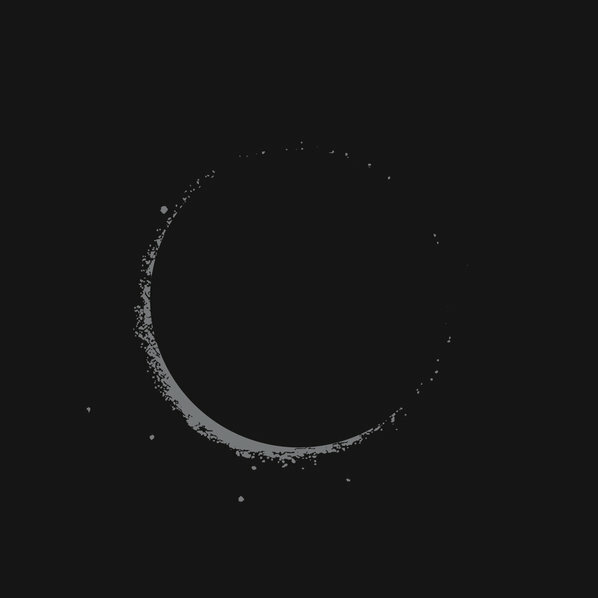 A standout track from the third Son Lux album, titled Lanterns, “Easy” floats along on a subterranean thrum, half wistful and half foreboding, with a curious beat that sounds like a violin pluck crossed with a bowed saw crossed with a kicked cat. The music is low and quiet, the mood both creepy and lulling—that is, until the song is interrupted by a fat blast of bass saxophone. It’s just four notes, but it drastically changes the song with a flatulent audacity. A few measures later, the instrument intrudes again. And then again and again, subsumed by the song’s steady flow until “Easy” closes with a few distorted honks, like a fog horn trying to make a boat crash. Words like “kicked cat” and “flatulent audacity” sound negative, but they’re in fact neutral descriptors. Ryan Lott, the mastermind behind Son Lux, has an ear for the odd, the out-of-place and the nonsensical in his arrangements. Rather than let a particular mood or moment linger, he composes to disrupt and to unsettle. Flourishes like the bass saxophone—or the orchestral scribble on “Lost It to Trying” or the hesitant start-stop of “Plan the Escape”—often run usefully counter to the song itself, as though orderliness were a sin and mess a virtue. As a musician, Lott seems like a bundle of contradictions himself. His training is classical and academic; in addition to studying pop and jazz piano, he has composed music for various dance troupes. In practice, however, he dabbles in electronica, indie pop and what sounds like a post-rock soundtrack to the next Panos Cosmatos film. As a sideman and collaborator, he has worked with a range of musicians, including These New Puritans, Busdriver, My Brightest Diamond and The Antlers. His most notorious project may be S/S/S, a supergroup of sorts that includes rapper Serengeti and Sufjan Stevens. Lanterns is an album informed—obsessively, maniacally—by each of these disparate musical worlds, as Lott struggles to make sure each is represented within these songs: the shuffling, narcotized beats; the blurts of noise and distortion; the chorale vocals that toggle between ominous and celebratory; the mangled string arrangements; the unidentifiable sounds on the songs’ margins (is that a freeway collapsing on “Enough of Our Machines”?). Every second of Lanterns throbs with sound, and density of arrangement threatens to become an end in itself. It’s an exhausting listen, alternately frustrating and overwhelming. But it’s never boring. The vast majority of Lott’s (many, many) musical ideas turn out to be sturdy and durable, his ear for textures sharp and assured, and his insistent juxtaposition of sounds and styles makes Lanterns compelling as a whole. His palette is impossibly wide, but he’s not simply mashing everything together. Instead, classical and rock and dance and hip hop and ambient talk to each other furiously, often all at once. Here’s an album that makes room for oddball composer DM Stith, teenage folk harmonizers Lily & Madeline, chamber orchestra yMusic and members of the new old-time band the Punch Brothers. Lanterns doesn’t always live up to its ridiculously outsized ambitions, but its mission proves admirable.